Do you need a practical handbook to help you grow your skill in interpreting the Bible? Are you serious about diving into the deep waters of proper Bible interpretation methodology? 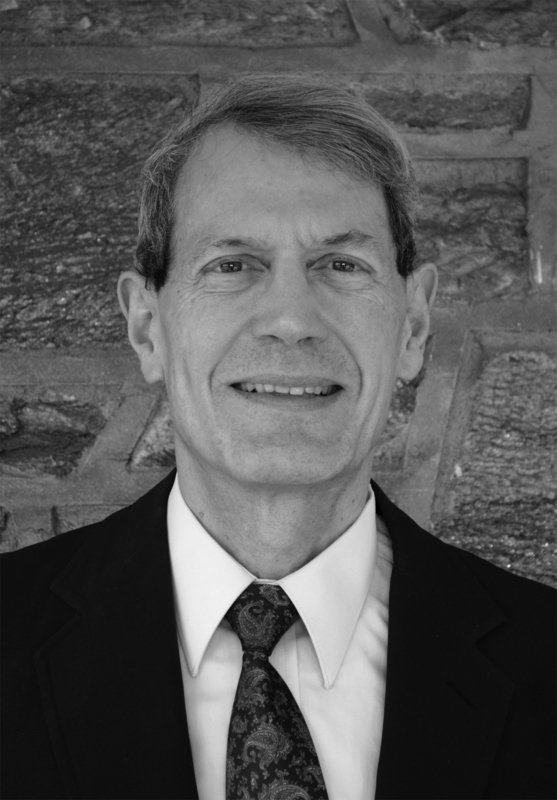 Bible Gateway interviewed Vern S. Poythress (@Vernpoythress) about his book, Reading the Word of God in the Presence of God: A Handbook for Biblical Interpretation (Crossway, 2016). What skills are necessary to properly interpret the Bible? 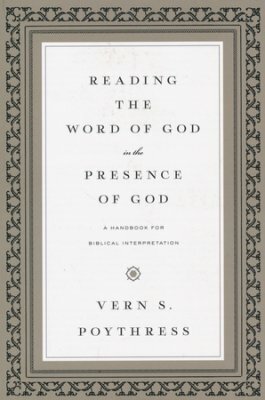 Vern S. Poythress: The first and most basic requirement is communion with God. The word “skill” can suggest that interpretation is all a matter of technical training. But when we’re hearing God speak, as we do when we read the Bible, we’re in a personal relation. We don’t experience this personal relation alone. God promises the Holy Spirit to us who believe in Christ, and the Spirit guides us in understanding. But within this life our understanding is limited, and contaminated by sin. Just because a person feels Spirit-led does not mean that he is. Pride remains, and our hearts easily deceive us. One of the “skills” is to be humble, to acknowledge our limitations, and to be ready to learn from others, within the context of the church. God has appointed teachers and pastors and elders to lead in the process—though they, too, are fallible. Christian writers from previous generations and other cultures can also help us. Technical resources like lexicons and Bible dictionaries and atlases can help. We should grow in knowledge of the contents of the Bible as a whole, skill in understanding language, skill in understanding history and societies as the context in which God’s speech comes to us, and finally skill in understanding ourselves as recipients who can distort the truth and as people with various temptations to sin. We should interpret the Bible not only to grow ourselves but to grow in ability to help others to grow. Communion with God does not imply turning off your mind but turning it on—to be renewed in our minds (Rom. 12:1-2). We’re to love God with all our mind as well as heart (Matt. 22:37-38). So true communion with God empowers hard work with the Bible, rather than bypassing work in favor of pure passivity. Communion with God as we hear his voice is rich. We receive his meanings; we submit to his authority; we grow by his power that is at work in our lives through his words; and we experience the glory of his personal presence as we hear him. These aspects go together, though we may sometimes be more conscious of one aspect. How does the interpretation approach you present in this book differ from the standard approach among many biblical scholars? Poythress: I emphasize the centrality of communion with God from beginning to end. God is present in the technical aspects as well, such as understanding the meaning of words and grammar in the original languages. How has modern culture corrupted the process of interpreting the Bible? Poythress: The desire to have meaning and messages in a neutral way, independent of religious commitments, corrupts scholarly work on the Bible, because it suppresses the reality of the presence of God as the key to biblical understanding. How should “communion with God form the central axis in every stage of interpretation”? Poythress: We acknowledge God as the God who has saved us through the mercy of Christ in his glory (Col. 1:13-14). This God, in Christ, is the one who is present in the details as well as the big picture in the Bible. So we need to be responding to him in faith, repentance, and praise all the way through the process of interpretation. You write that the Bible is “God’s speech to us.” How can we know when a passage is God’s speech and when it is an interjection by the human authors of the Bible? Poythress: The Bible is all God’s speech, as well as all mediated through human writers who wrote the individual books (2 Pet. 1:21). It’s a mistake to try to separate passages into a divine piece and a human piece. Rather, we should treat the Bible for what it is: divine and human all the way through. Of course God can quote human sinful speech, or describe human sinful actions, without implying that he approves them. How does the lordship of Christ enter into interpreting the Bible? Poythress: Christ is Lord of all (Eph. 1:20-22). This truth implies that he is lord of language, lord of grammar, lord of history, and lord or interpretive principles. We cannot just take things over unchanged from the world around us. We should be thinking through and living through the implications of Christ’s lordship in every sphere of life. Explain what you call the three simple steps in interpretation. Poythress: The three steps, which the book introduces at an early point, are observation, elucidation, and application. They answer successive questions: what does it say, what does it mean, and how does it apply (what am I supposed to do with it)? The three steps together form a good starting point for people who are young Christians. I didn’t invent these steps. They’ve been used in InterVarsity Christian Fellowship circles for decades. I regard them as perspectives on the whole. In a broad sense, answering “what does it say” involves also answering the questions about meaning and application. And so with the other two steps. They interlock rather than being separate. If correctly interpreting the Bible depends on the degree to which readers love God and their neighbor, what are the implications of differing (and wrong) interpretations based on individuals’ spiritual maturity levels in achieving that love? How should differing interpretations of the Bible be considered? Poythress: Sometimes differences arise partly from incomplete information. We are finite. And we should admit that there are cases of uncertainty. But often the differences become exacerbated because of sinful inclinations underneath the surface, which incline us to prefer our own ideas and not to submit to what is less comfortable. We must be cautious about accusing anyone else of sin. We don’t know people’s hearts. But we must also avoid being naïve about the subtlety of sin and the corrupting effects of sin on the mind—our own minds, not only the mind of the other fellow. Poythress: The three simple steps mentioned above are a beginning. But people can unpack the steps in more and more detail, and thereby go deeper and deeper in the study of the Bible. The rest of my book repeatedly expands and goes into greater detail. I particularly devote attention to seeing the centrality of Christ in the whole Bible, because I think that this aspect is important and at the same time challenging. I attempt to make the process easier and clearer by using one main passage—1 Samuel 22:1-2—as an illustration of the entire process of interpretation, from beginning to end, using it to illustrate detail as well as the three simple steps. But the Bible has different kinds of books in it. Each kind of book makes its own demands. So I illustrate the process more briefly with other passages—one passage from the Psalms, one from Proverbs, and one from the prophets. This interview originated on the Bible Gateway Blog and is posted here with permission of Bible Gateway (@biblegateway).